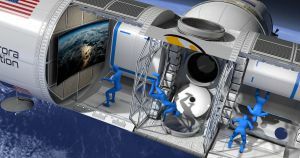 Previously, Futurism reported that a trip to the space hotel would cost only $9.5 million. Now the price has climbed up to $12.5 million for a 12-day trip, according to the new interview. It’s no surprise that private space tourism is going to be hella expensive. But despite Bunger’s repeated statements that he wants Orion Span to drive down the cost of off-world vacations, they’ll likely remain a plaything of the rich for the foreseeable future. The post Upcoming Space Hotel to Be “Like a Small Cruise Ship” appeared first on Futurism.